Massachusetts is home to the second English settlement on the continent. Its largest city, Boston, has been at the center of many of the most influential political movements in the history of the United States. Boston is still the most densely populated city in New England. The state's full name is The Commonwealth of Massachusetts, which is why you will sometimes hear residents refer to it as The Commonwealth. If you are planning to move to Massachusetts, you should know that there are mandatory legal requirements for car insurance coverage. Even if you are not very familiar with insurance companies in the Massachusetts area, you can take advantage of insurance quotes to compare the coverage options that are available to you. You don't have to pay more just because you are new to the area. Current Massachusetts residents can also benefit from checking insurance quotes from time to time. Whenever your policy is about to expire or you need to make a change, you should look into the offers that are available from more than one insurance company. Hopefully you are happy with the service you receive from your current company. It is smart to understand how competitive their rates are, though. Motorcycle riders are not required to purchase PIP coverage. Coverage must equal or exceed the amount of bodily injury coverage required by the state. How much will you pay for insurance in Massachusetts? Enter your zip code below to find out. 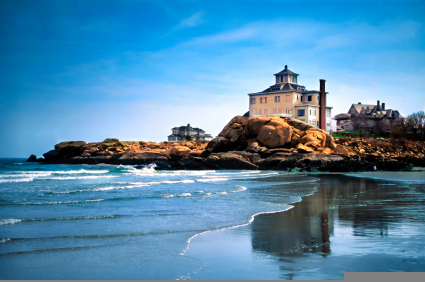 In the heart of New England sits the area�s most populated state, Massachusetts. There is a little of everything here, from serene Cape Cod beaches to the bustle of Boston to the heights of the Berkshire Mountains. If you�re moving to Massachusetts with worries about changes to your car insurance, you�ll find everything you need to know here. Massachusetts makes it easy to get your license after a move. You only need to transfer your license from the previous state. If your old licenses expired for more than a year, however, you must take a written test and eye exam before you can get your new license. Licenses are valid for five years in Massachusetts. There is no grace period allowed in Massachusetts for getting your new license and vehicle registration. As soon as you have residency, you are expected to make the change. A bank account with a Massachusetts address or a utility bill will show your residency. Registering your car in Massachusetts can get tricky if all your papers are not in order. If you have any title issues, you are best to get them squared away before you move. For instance, if you have a car that was a repairable total loss, but haven�t repaired it yet, Massachusetts laws may make it hard for you to get the car titled in the state. Such vehicles must pass an inspection and you must be able to provide part numbers for repairs. This ensures cars are repaired back to roadworthy condition and helps deter parts theft. If your title is clean, you will not have problems. A bill of sale or a past registration is sufficient to get your car titled and registered in Massachusetts. You must insure your car first, and then take the RMV-1 (application for registration) form to the Registry of Motor Vehicles (RMV). 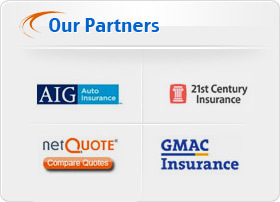 The insurance company places a stamp on the form, certifying your insured status. Without the stamp, you cannot register your car in Massachusetts. You should also know that insurance companies must report insurance cancellations to the RMV. That means your registration will be cancelled if you fail to pay your car insurance. When you register a vehicle in Massachusetts, you must pay sales tax at the time of registration. Rather than basing the figure on the sales price, the state checks the vehicle�s NADA value to calculate taxes. There are exceptions for transfers of vehicle ownership between family members. There is a special affidavit you will need that you can get at http://www.mass.gov/rmv. Even if you already paid sales tax in the previous state, cars bought within six months of the move will be assessed for sales tax. You�ll either pay the full sales tax on the car or the difference between taxes from the previous state and Massachusetts. Massachusetts also requires a vehicle inspection within seven days of registering your car. Inspections can be done at most repair shops. You will see a sign with an image of the current year�s registration sticker posted at the garage. Vehicles are checked for safety issues and for emissions compliance. If you fail inspection, you will be given a �fail� sticker that gives you thirty days to make repairs and get the car reinspected. The second inspection is free. If you still fail the inspection, you will have to pay for a third inspection after subsequent repairs. Like most states, Massachusetts has a seat belt law. They run a campaign called �Click it or Ticket,� aimed at reducing car accident fatalities. While the police cannot stop you for a seatbelt violation, they can find any other reason to stop you and fine you $25 once they find you unbelted. Massachusetts has a special feature that makes shopping for car insurance easier. You can get a range of rates from carriers in Massachusetts by visiting http://mass.gov/autorates. You�ll get a general idea of what insurance will cost before you move. You can then enter your new Massachusetts zip code at carinsurancequotescomparison.com and get rates from several insurance companies. You�ll shop with confidence knowing how the quotes you get stack up against other companies in the state. You will be expected to buy certain insurance minimums in Massachusetts. These are typically higher limits than required by other states. You�ll have to carry at least $20,000 per person and $40,000 per accident for injury liability coverage, called Bodily Injury. You must carry $5,000 coverage for damage caused to another vehicle, or Property Damage insurance. To protect yourself, Massachusetts requires you carry at least $20,000 per person and $40,000 per accident of Uninsured Motorist coverage. In addition to having insurance for injuries and damages caused to another vehicle, you must buy insurance to cover injuries to your passengers, called PIP or Personal Injury Protection. Massachusetts is a no-fault state. This means that no matter who is at fault for an accident, anyone injured in the car has coverage for medical expenses and lost wages. The minimum coverage is $8,000. The first $2,000 in medical bills is automatically paid by the car insurance. After that, health insurance, if available, picks up the bill. Copayments and other expenses not covered by health insurance will be paid by the car insurance. Some health plans are exempt, however, forcing all payments to come from PIP. The good news is that payments made under this coverage have no affect on the driver�s record. A few years ago, Massachusetts transitioned to the Safe Drive Insurance Plan (SDIP) rating system, designed to offer more competition and fairness in the marketplace. The program is run by the Massachusetts Merit Rating Board. There is a range of steps, 00 � 45. Two other rating codes offer discounts to very good drivers, 99 and 98. Drivers new to Massachusetts are credited for safe driving records from other jurisdictions. 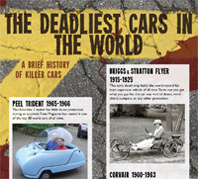 Those with six years of clean driving records begin at 00. Ratings of 99 and 98 can be earned for continuing safe driving.